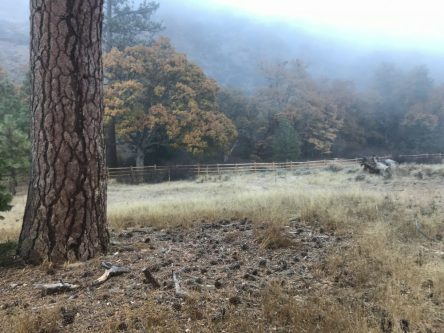 Written by Klamath-Siskiyou Native Seeds on November 30, 2018 . Posted in Uncategorized. Native plant seeds are used for various applications. Many people use native seeds for growing plants for landscaping and native plant gardens, while others who own or manage land will use native seeds for habitat restoration projects. If you own or manage land you may have a goal of increasing native plant composition and diversity — using native seeds is a great way to achieve that goal! Seed germination is greatly improved if seeds have direct contact with the soil and there is limited competition from non-native plants and heavy thatch, so site preparation is one of the most important aspects of a successful native seed project. Site preparation can be achieved through various techniques, including solarization, tilling, herbicide use, or fire. Solarization, using clear greenhouse or black plastic to heat the soil and kill existing vegetation and non-native seeds in the soil seedbank, is a good choice for small areas but can be difficult to pull off on a large scale. It is a non-toxic method and is worth trying if other other site prep techniques are not possible. Tilling can work under certain situations but generally triggers germination of non-native plant seeds in the soil seedbank that thrive on soil disturbance. If tilling, try to only till the top 1″ of the soil to limit soil disturbance. The least amount of soil disturbance the better. Sometimes simply raking thatch back to the point where bare mineral soil is exposed can be all you need to sow native seeds and have successful seed germination. 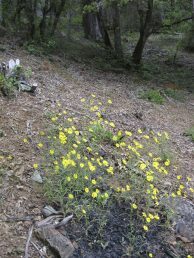 Herbicide use is commonly used by restoration practitioners to kill off existing vegetation and replace it with native plants using native seeds. Although this method is effective, it is controversial for all the obvious reasons associated with herbicide use and we don’t use this method ourselves. The site preparation technique we will feature is using fire to prepare a site for native seeds. 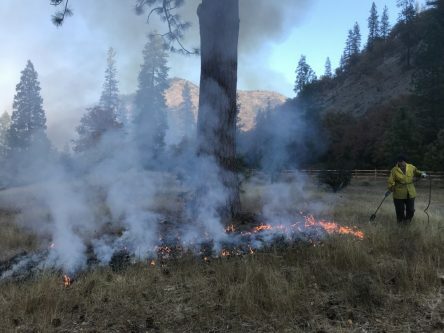 The Klamath-Siskiyou region is a fire-adapted ecosystem where over millennia plant seeds have evolved to germinate profusely following a fire in order to recolonize the site. 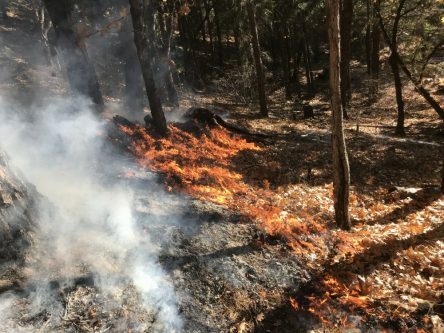 Fire naturally prepares a site by eliminating thatch and creating a mineral-rich seed bed of ash and bare soil, perfect conditions for seed germination. 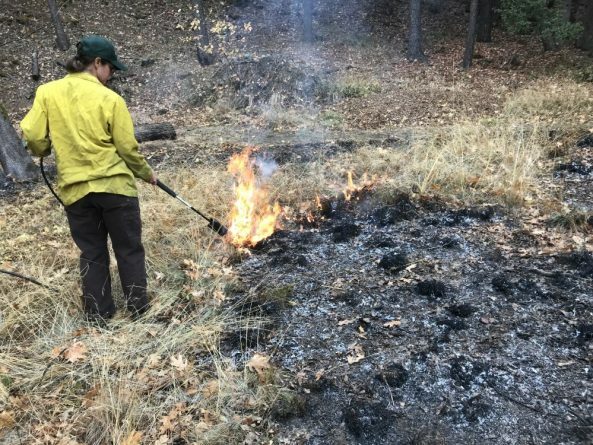 Although federal land managers and large land conservancies do seeding projects following large prescribed fire projects, private landowners can create the same effects on a very small scale using simple techniques. 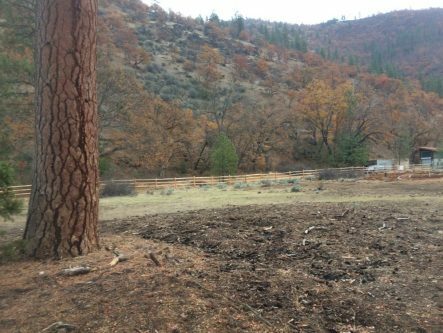 If you have land that you have performed homesite defensible space work on and you have some burn piles to burn, turn those burn pile sites into small seed projects. 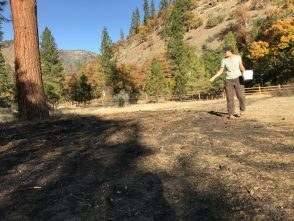 After the burn pile has fully cooled down and is completely out you can sow the area with native seeds. Seeds are best sown in the fall in order to achieve cold-stratification requirements. 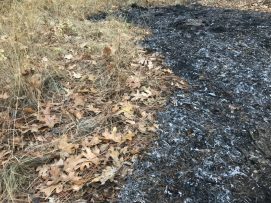 A burn pile that was a small circle of ash and charcoal can turn into a profusion of native plants and wildflowers that will spread over time. 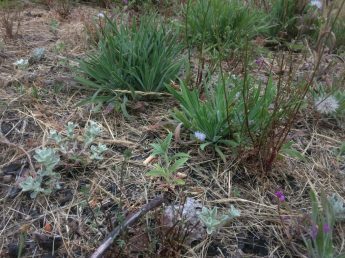 Native seedlings and plants growing from seed in burn pile sites. 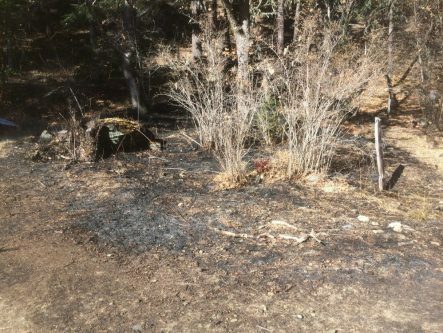 Always refer to local fire restrictions and make sure it is an authorized burn day before using fire on your land. Don’t burn in dry or windy conditions and never burn out of season. Consult a professional about burning if you need advice. 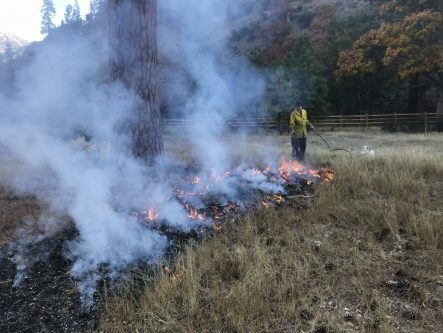 If you build a burn pile correctly you can still burn on a wet or even rainy day in order to prevent the spread of fire. In order to burn safely, late fall through winter is a great time to burn and to sow seeds. Using a flame torch or flame weeder can also be a good choice. 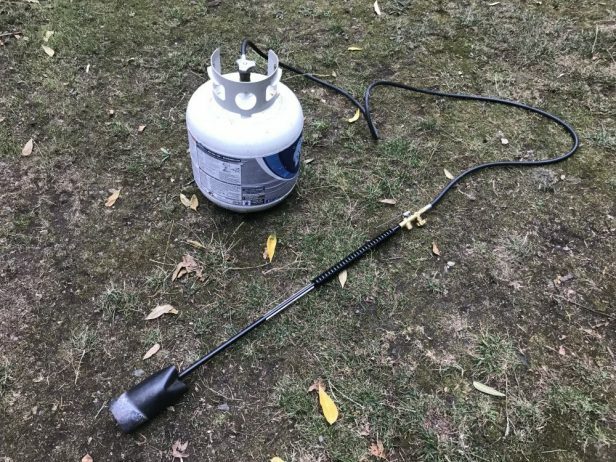 Flame torches (or propane torch) are increasingly popular on organic farms for treating weeds without the need for herbicide use. The heat from a flame torch kills the weeds and helps with weed control. 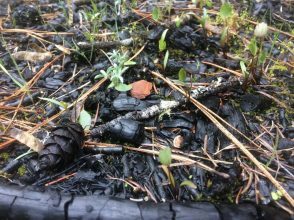 Flame torches will not kill deeply taprooted plants, but they are pretty good at killing annual plants and some shallow-rooted perennials. 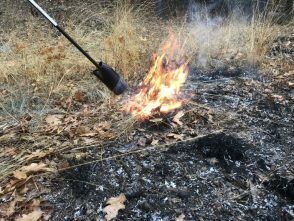 Flame torches are great for clearing an area of thatch to prepare a site for native seeds. Seeding projects using the flame torch technique can take on any size depending on site conditions and the limitations of the torch itself. Our advice is to start small and take on a small project area first. Even a 5’x5′ area can be a fun and effective project to take on. Backpack flame torches are also commercially available, making this technique easier. 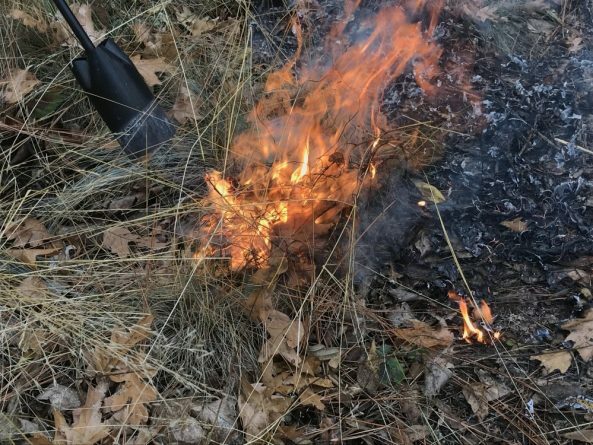 Unlike a burn pile that will kill non-native plant seeds in the soil seedbank by heating the soil, a flame torch does not kill seeds in the soil seedbank because it doesn’t heat the soil much, it only treats the soil surface. 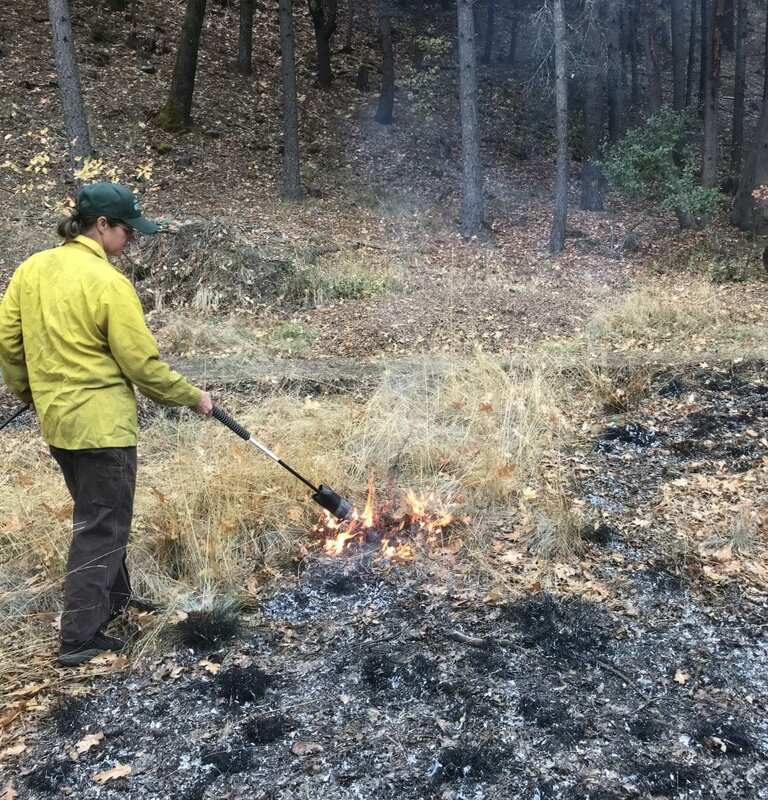 Non-native weeds will still sprout within an area treated with a propane torch; however, if you have a small area you want to clear out and you don’t have material for a burn pile, using a flame torch is a good solution. 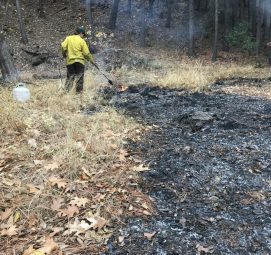 To be safe, clearing or raking a small 2′ fire line around the area you will burn is a good idea in order to prevent fire spread. 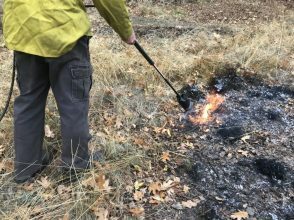 Always check with your local fire restrictions before using a flame torch. Sowing native seeds by hand after site prep using a flame torch. After you have prepared a site for seeding you can sow the seeds by hand if it is a small area, or use a broadcast seed spreader or seed drill for larger areas. Disperse the seed as evenly as possible. In areas that have large bird populations seed predation can be a problem. If you have a hose nearby your project site you can water in the seed so the seed works its way into the soil. Alternatively, if the forecast calls for rain, you can seed just before a heavy rain and the rain can work the seed into the soil for you. If rain is not in the forecast and you don’t have a hose available, using a leaf rake to very lightly rake in the seeds can be useful, but keep in mind that some seeds require light for germination and burying the seed too deeply can inhibit seed germination. Some seeds on the soil surface is okay. One of the main reasons that seeds fail to germinate is that they have been buried too deeply. Mimicking nature by using fire on a small and safe scale is a good way to achieve desirable outcomes through good site preparation. Seed germination will be greatly improved and your seed project will be more likely to succeed. 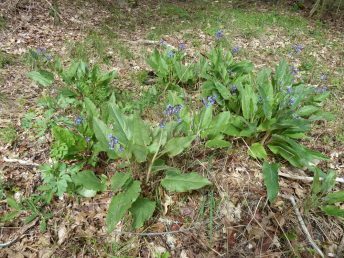 We encourage you to experiment and start small, even small islands of native plants can be extremely beneficial for native pollinators, birds and other wildlife! 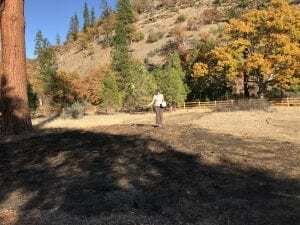 Area prepped for native seed using a flame torch.